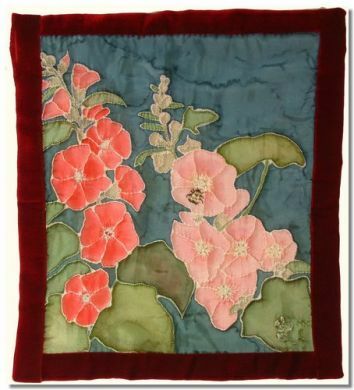 Quilted original silk painting, with embroidery on the hollyhock flowers and an embroidered bumble bee. The boarder is velvet and the backing cotton calico. Dimensions of hanging 33cm wide x 38cm high.